3D Dark narrative-driven strategic puzzler set in an 1880s military laboratory. Crafting devices to outwit the security system and solving fiendish puzzles to progress through the vast underground complex. Piecing together her family’s involvement in the upcoming war. 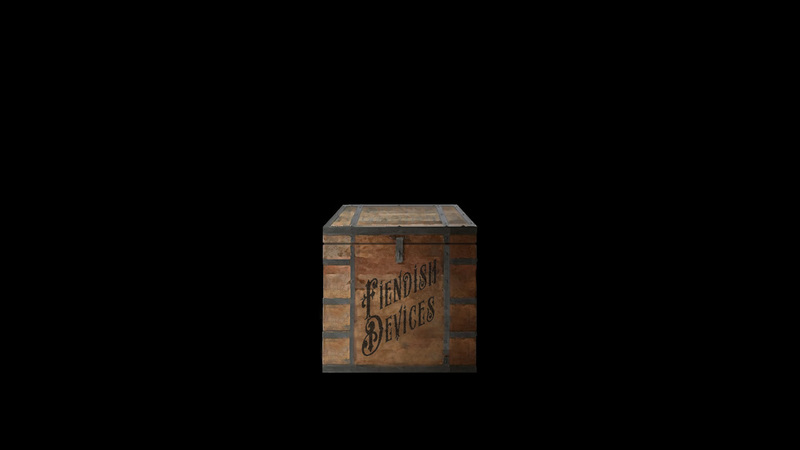 Fiendish Devices is a third person 3D dugeon-crawler strewn with dangerous traps and mechanical enemies (COGs). Crafting, trap-laying and fast-paced escapes are all a part of a successful escape. The narrative of her family’s involvement in the coming war is gradually revealed as is the reason for her own abduction. Tensions between Blighty and Kromania are growing. Are the ‘disappeared’ abducted or defecting? Commodore Pascal Fiendish, the best pilot in the fleet; gone! Even worse he had disappeared with Bligthy’s most advanced dirigible flagship. His brother Horatio disappears soon after, with countless advanced scientific machinery. Has one of Loxford’s most lauded families gone over to the other side? Lily’s own abduction forces her to confront the rumours. Throughout the rooms she uncovers clues to her family’s involvement in the coming war and is determined to follow the trail wherever it leads. She will know the truth, if she can survive long enough. Her captors will not take her spirit… as they took away her legs.